Decanter discovered in a Baltimore privy filled around the time of the Civil War. Attribution to the Amelung New Bremen Factory is not certain, but it did produce similar decanters in the late 18th century. ion facility was the New Bremen Glass Manufactory, which began operations south of Frederick in 1785. When owner John Frederick Amelung arrived from Germany, the United States was a new nation anxious to promote industry. Encouraged in his endeavor by the likes of George Washington, Benjamin Franklin and Thomas Jefferson, Amelung brought 68 experienced German glass workers with him to staff the new factory (Lanmon and Palmer 1976). Within five years, Amelung employed between 400 and 500 workers, who lived in a factory village named New Bremen. In 1788, Amelung advertised a range of glass vessels for sale, including “1/2 gill to quart tumblers, ½ to 1 quart Decanters…Wines, Goblets, Glass Cans with Handles, different sizes.” (Maryland Journal and Baltimore Advertiser 1788). 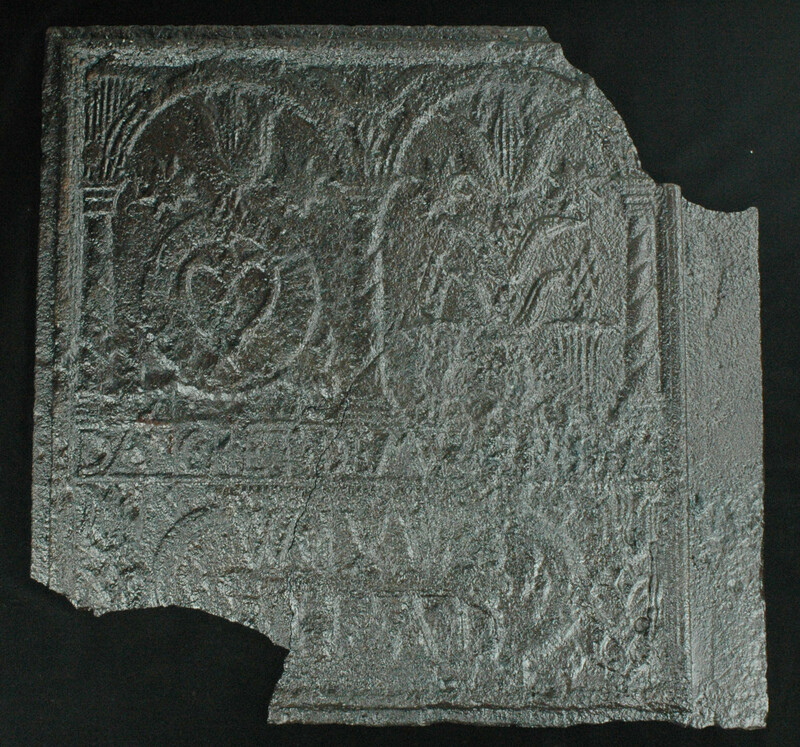 Figure 1: This 25.5 x 23.5” plate from a five-plate stove is one of eight from the site that bear German or Pennsylvania Dutch motifs. The Antietam Furnace (18WA288), more properly known as the Mt. Aetna Iron Furnace, operated between around 1761 and 1783 in what is now Washington County. Excavations conducted at the former site of the furnace revealed a number of industrial structures and evidence of the production of pig iron, hollow ware and stoves (Frye 1984). Some of the most interesting artifacts from the site included stove plates containing inscriptions in German (Figure 1).